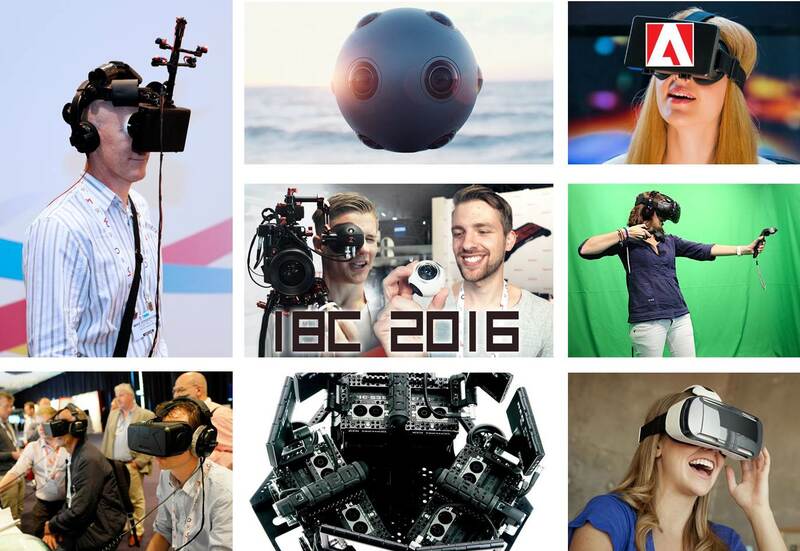 There was a lot of discussion about VR, 360 and how quickly both flavors will be unleashed at this year’s IBC (International Broadcast Conference) in Amsterdam. - Who’s going to survive with all of the digital content people launching services/content? - How will providers meet the consumers’ new expectations? Folks around the globe voted with their eyes that they wanted OTT (over the top) content rather than regularly scheduled programs – there were more than three times the streaming viewers than network viewers. The writing is on the wall for content/service providers…people want to make up their own viewing schedules and watch the stuff on whatever device is in front of them. As a result, there was a lot of discussion at IBC on how organizations create, collaborate and deliver rich, immersive content … quickly. Game Creek Video has played a key role in the evolution of live 4K sports production over the past year, retrofitting its Riverhawk truck to serve as MLB Network’s primary 4K/HD mobile unit for the weekly MLB Network Showcase games delivered in 4K on DirecTV. Now Game Creek has taken its 4K game to the next level with the launch of Madison, its first purpose-built 4K/HD mobile unit, for MSG Networks — with more 4K units on the way later this year. Madison, which launched in August, replaces Game Creek’s Legends truck (launched in 2009) as MSG Network’s primary mobile unit; Legends will continue to regularly work MSG shows. The new standalone single-expando truck is based largely on Game Creek Video’s Maverick (a sister unit to Riverhawk), which has become the company’s standard midsize model popular with RSNs. Based in Thailand, national broadcaster, Royal Thai Army Television (Channel 5) has taken delivery of a multi-functional outside broadcast (OB) production vehicle which was designed, built and commissioned by Hitachi Kokusai Turkey. On this project, Hitachi worked closely with its local representative, Bangkok-based P.S. & Sons (Thailand) Co, Ltd. Based on a Mercedes-Benz Sprinter van, the vehicle combines a compact and lightweight construction with some of the region’s most advanced OB production capabilities. The OB truck supports five Hitachi SK-HD1200 multi format HDTV production cameras and a team of six production engineers. Designed and built at Hitachi’s Istanbul facility, the new OB truck is ideal for use as a small, flexible production vehicle covering a range of sporting, cultural and entertainment events throughout Thailand, supporting productions where a larger OB truck would be impractical or cost prohibitive. To enhance the service it provides to customers in the Los Angeles area, All Mobile Video (AMV) West Coast has upgraded its popular NYLA mobile production truck with a new Artist digital matrix intercom system from Riedel Communications. Integrated into NYLA by the AMV West Coast Field Shop, the Artist system is familiar to many AMV West Coast customers because of its pervasiveness in production control rooms and other technical facilities. Equipped with this Riedel intercom system, NYLA can easily be linked into operations at the many fixed facilities that rely on the Artist system for flexible, high-quality communications. What does it take to satisfy the latest needs of a veteran sound engineer who has spent more than 40 years recording many of the world’s top artists live? The answer is this: the ANDIAMO.MC, its converters and its insanely fast, exceptionally reliable, and highly scalable router (M.1K2) coupled with the outstanding support of the DirectOut team. Guy Charbonneau needed a system that would allow him to switch between multiple artists while recording live. In short, he needed to store and recall the preset for each performer in a way that would make it fast and easy to switch between the two. He approached DirectOut about making some modifications to their ANDIAMO.MC Remote. Although the evolution of this process has been covered in detail in an interview to be published soon, here we address some critical technical aspects. The studio’s inner city location, steeped with history, caused restrictions during productions and in order to comprise of a future-proof studio facility with sophisticated IP-functionality, the public broadcaster decided to build a new facility on the outskirts of Brno. In their own words Czech TV wanted to build the TV complex for the 21st century. To achieve this goal, the broadcaster trusts in equipment and workflow solutions by Lawo. To this end, all audio in the studio are produced, transmitted and controlled using Lawo’s network, audio, video and workflow control technologies. Overall control within the complex is achieved using Lawo’s VSM Broadcast Control and Monitoring System, which handles all audio and video signals plus additional functionalities. Snell Advanced Media (SAM) today announced that it has partnered with Los Angeles-based startup, Vista Studios, a Broadcast & Production facility located in the Westside Tech Hotspot, Playa Vista/Silicon Beach. The company has selected SAM’s technology for its 4K, state-of-the-art production studio. Vista Studios is a turnkey broadcast facility with four production stages, four production control rooms and a technology core that offers conversion services, routing, camera records, editing, business office space as well as playout origination. Randall Heer, CEO at Vista Studios, commented, “It was important we build an environment with the latest in 4K technology and IP infrastructure, as well as the latest in workflow management capabilities." In PURE LIVE 2016 we present 24 new 4K/UHD OBVans from all around the world: Australia, China, Canada, Europe, United States, in particular AMP VISUAL TV, Arena, Clark Media, Croatel, Dome Productions, Euromedia, Gearhouse, Hunan TV, JSBC, Mediapro, NEP, Telecenic, Timeline\TV, TopVision, TV Skyline, TVN, Videohouse. All the trucks are presented with the floor plan and images of the production area, the sound area, the slomo area and the shading area. PURE LIVE also presents portraits of international system integrators, rental facilities and production houses as well as case studies and reports highlighting the areas of video, audio and lighting in TV Live Productions for sports and entertainment: UEFA EURO - Adele - Le Mans - Royal Opera Stockholm - Formula E - Montreux Jazz - Trotting - PAC-12, to only name a few of the highlights. You can order your copy online in our shop for €25 + shipping. The countdown to UEFA EURO 2020 officially began on 21 September when the newly-elected UEFA President, Aleksander Čeferin, together with the chairman of the English Football Association, Greg Clarke, and the Mayor of London, Sadiq Khan, unveiled the tournament’s visual identity and the London host city logo at a ceremony at London City Hall. The bridge, as a universal symbol of connection and unity, inspired the logo for the UEFA EURO 2020 brand, which features the Henri Delaunay Cup at the centre, surrounded by celebrating fans. The tournament logo connects the bridges of all 13 host cities, with the iconic Tower Bridge taking centre stage in the London host city logo. Matthias Dolderer of Germany became a new Indy hero on Sunday, winning the first Red Bull Air Race ever hosted at the iconic Indianapolis Motor Speedway – and clinching the 2016 World Championship with the season finale still to come. Nigel Lamb of Great Britain flew to second in Indy, with Pete McLeod of Canada in third. Over 62,000 fans witnessed pilot Matthias Dolderer write new motorsport history on 1–2 October, as the German won the Red Bull Air Race debut at the legendary Indianapolis Motor Speedway and clinched his first World Championship – and the first for Germany – in the process. With the eighth and final race of the season still to go, 2014 World Champion Nigel Lamb was second, and North America’s own Pete McLeod earned the third spot on the coveted Indy podium. The Dave Matthews Band is playing its 25th anniversary tour in the U.S. and Canada this summer. The lengthy annual DMB summer tours have actually acquired legendary status and are known for improvised renditions of their regular songs as much as for their stunning visual shows which have been designed by Fenton Williams since the early 1990s. Fenton and his Charlottesville-based design company Filament Productions are still responsible for the production design and this year he and co-lighting designer Aaron Stinebrink specified Robe BMFL Spots and PATT 2013 fixtures. Aaron also works for Theatrical Media Services (TMS) based in Omaha, Nebraska, the tour’s lighting vendor and he’s been involved with Fenton and DMB in various lighting capacities since 2003, the last four years as joint LD and lead programmer. Just home from Rio where he designed the lighting for the 2016 Olympic opening and closing ceremonies, Durham Marenghi shared with us his reflections about the project, for which he brought a massive lineup of SGM lighting fixtures including P-2, P-5, Q-7 and G-1 Beams, supplied by Italian rental company Agorá. Marenghi is no stranger to lighting design in an Olympic context. He has been involved with the Turin Winter Olympics in 2006, the London 2012 handover at the Beijing Olympics closing ceremony in 2008, and the Sochi Winter Paralympic opening and closing ceremonies in 2014. Taiwanese rock superstars Mayday are on the road in Asia with a large production including 56 axes of Kinesys automation – provided by rental and technical production specialist B’IN Live, who are headquartered in Taiwan with bases in China and Hong Kong. The epic lighting, visual and set design was created by Leroy Bennet and Seven Designs from Los Angeles – well known for their imagination and style as well as interesting and provocative designs ... of which this is no exception! B’IN Live – formed in 2014 with the amalgamation of six high level technical specialist companies into a super-production company – provides full technical infrastructures and services, incorporating sound, lighting, video, rigging, automation, set and scenic plus staging and power. At IBC, Sony demonstrated further achievements in interoperability as well as unveiling six new IP Live based solutions. A core part of Sony’s strategy is its commitment to deliver fully interoperable solutions & systems that are ready to implement today, using current available standards while remaining open to upcoming future standards. Sony has played a strong role in the industry since 2012, starting from the Joint Taskforce for Networked Media (JT-NM), later joining the ASPEN and AIMS alliance groups, and more recently the AMWA NMI incubator project, driving the development of the Networked Media Interface framework. LiveTouch™ is a scalable sports highlights system that makes highlights and instant replay workflows fast and effortless. The intuitive touch screen panel is quick to learn and easy to use, making highlights selection sure, simple and robust. LiveTouch can scale to meet HD and UHD productions of any size. It is easily configurable to support large events and multiple studio productions. Uniquely, LiveTouch supports integrated editing with no delays due to media movement and without the cost of duplicating recordings or storage. Highlights packages get to air faster, and system design is dramatically simplified. Turkish OB company HD Protek has installed a Calrec Summa audio console as part of an upgrade to its HDP 04 outside broadcast (OB) unit. The installation marks the first Summa in the Turkish OB market. "We have a busy and dynamic production schedule, and the Summa saves our sound engineer a lot of time and effort," said Yucel Ozacar, general manager of HD Protek. "The Summa is flexible, reliable, and easy to operate, and its powerful features streamline the audio workflow. "Knowing that we can easily track the signal and that the console will work without question is a big comfort to us. Also, the Summa adds a powerful new audio-mixing option to our fleet, so we can handle more complex shows more easily. Tata Communications, Official Connectivity Provider of Formula 1®, Formula One Management and Sky have tested in action live Ultra High Definition (UHD) broadcasting at the 2016 FORMULA 1 SINGAPORE AIRLINES SINGAPORE GRAND PRIX. Following this first ever end-to-end broadcast of an F1® race in UHD, Sky will show all races of the 2017 season in UHD. "UHD offers four times higher resolution than HD, making F1® a more powerful, immersive experience for fans than ever before. We’re on track to show every race live in UHD next season using our next-generation Sky Q home entertainment service, and to continue to give our customers the action-packed F1® experiences that they crave." Keith Lane, Director of Operations at Sky. Globo, the largest commercial TV network in Latin America, has launched the first 4K HDR VOD product in Brazil using ATEME TITAN solution. This new product is available on smart 4K and HDR TVs with Globo’s OTT multi-screen platform, Globo Play, and is also accessible on PCs, smartphones and tablets. The first content to benefit from UHD resolution and HDR technology is "Ligações perigosas" (also known as “Dangerous Liaisons”) and has been available to watch since July. TITAN is a multi-codec/format video transcoding software for mezzanine, STB and ABR VOD, post-production, playout and archive applications. It is a truly virtualized software-based solution, hardware agnostic, delivering high video quality at high density. ATEME’s ‘building block’ approach provides full flexibility as software modules can be combined as needed: any input/output, any CODEC, any resolution, from an encoder to a video headend in a box.